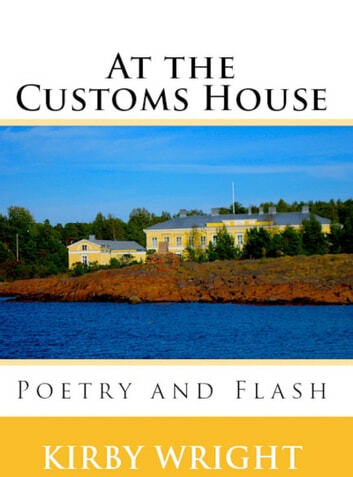 Travel with Gonzo poet and flash writer KIRBY WRIGHT as he negotiates the terrain from Helsinki to the Finnish Archipelago to Stockholm, writing verse along the way. This book captures both the cityscapes of Finland and Sweden as well as the countryside of remote Aland Island, providing the reader glimpses of Scandinavia rarely seen by the average tourist. Some of the work takes on fantastical Kafkaesque dimensions and there are dealings with sensual ghosts in saunas and spirits who dine on purple mushrooms by day. A trip to a 400 BC burial ground adds more excitement. A must read for any traveler who wants a different take on Finland and Sweden, including the writer's story behind one of Picasso's most famous paintings. Kirby Wright’s latest collection, At the Customs House, is the work of a mature artist at the height of his ability. Wright can be defined as a gonzo poet, writer, and playwright, as someone capable of mashing multiple genres to gain the consistency he needs to deliver his vision. He is not afraid to veer into fictional sub-genres such as horror if it helps register the punch. After several readings, an image of Olga the Swedish wraith in “Sauna” has been indelibly stamped on my brain. “The Atrophy of an Artist” is one of the most perfectly crafted (and one of the most sensual) pieces of writing I’ve encountered. Wright’s breathtaking poetic imagery and gems such as “The stink of tobacco ash humans the day” are an editor’s dream. I cannot help but think Kafka himself would have been tickled by the surreal edge of “Dreams in Helsinki,” where the hopes of the masses “release like helium balloons” and are blown skyward by the “ozone gusts from trains,” only to be popped in the clouds by “winged demons.” Is Wright warning us that all of our toils and accomplishments on Earth are ultimately futile? Perhaps. We revisit this at the statue of Alexander II in Senate Square, Helsinki. “The Tsar of Gulls” is a dramatic monologue to “human form bronzed,” one that recalls the triumphs and failures of “the great liberator.” The piece ends with an absurdist twist, one pointing out the practical side of statues in the sense the “blue-green head/Supports the weight of gulls.” Statues help us recall the great deeds of fallen heroes, but I get the sense Wright sees most visitors as being unaware of what the statue represents. His line “Ghosts recall the Crimean War” leads me to think Wright wants us to explore how we will be remembered to make meaning of our fragile lives, an exercise that may also serve to reconnect us to our true passions. “Being remembered is everything,” Wright says, and he will certainly not be forgotten in the realm of literature. 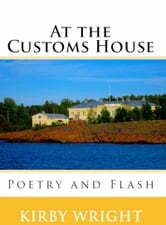 At the Customs House offers a poetic travelogue of an unforgettable journey through Finland and Sweden.